Hotel ibis budget Koblenz Nord. Book now! Free Wifi! The stay was very pleasant and comfortable. Room was clean and everything worked. The only problem is when you arrive between 2-5pm when there is no receptionist, you need a credit card with a PIN to check-in. So I had a wasted trip to the hotel as I don't have a PIN. Anyway the night receptionist was very good in recommending places for dinner while the day one related where she thought were places to visit on the Moselle and Rhine river. 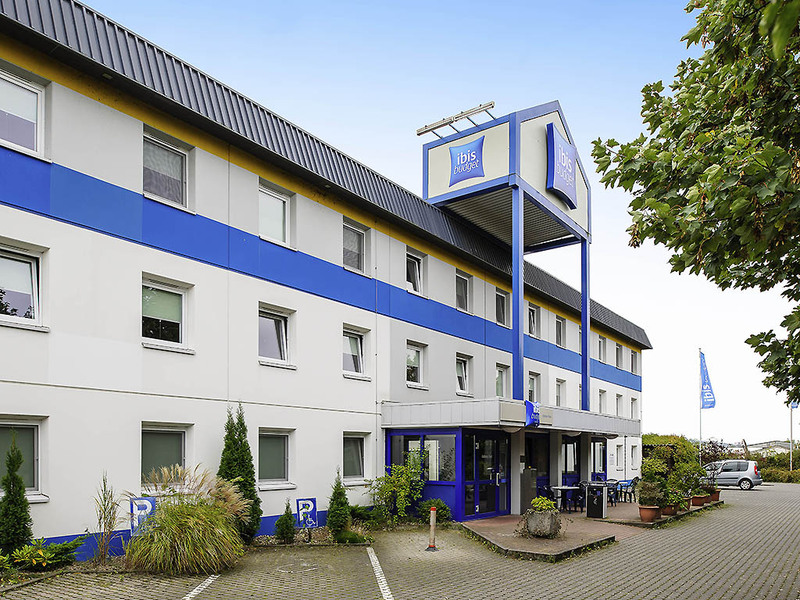 One night in Koblenz at the Ibis Budget, perfect place for spending the night and having a quiet sleep. Light broked on the second Day. Shower dropped water to the floor on the room. No air conditioning, air didn’t change in the room. We arrived at 2pm and easily checked in with the computer. The room was comfortable and affordable. Thank you! The room was very comfortable and it was welcome after a long drive from London. Super clean. Breakfast was good too especially the brightly painted eggs! A great night in a calm hotel! We had a great time in Koblenz and you greatly contributed to it! The staff was really welcoming, the hotel calm the rooms clean! Thank you! Keep up the good work! Efficient, friendly female recepionists made us welcome. We were pleased to have a room on the ground floor. It was a good size and fresh and clean. Air conditioning was efficient. Towels were replaced each day. There was a good choice for breakfast - selection of rolls and bread. Also a toaster. Cereal, cold meats, cheese, yoghurt and fresh fruit . There was a basket of boiled eggs (with coloured shells), plenty of spreads and juice, teas or coffee. We have stayed here before and are likely to come back again. Comfortable beds, excellent shower and good breakfast. Once more very satisfied with the Ibis experience. Just what you need when travelling on a budget. This is a neat little hotel, very convenient to stop over if you're travelling on the A61. I only booked on the day, and for EU 50 including breakfast, you really can't fault it. You could even arrive late, they have an electronic arrival system in place. The bedroom and bathroom were basic, but well-functioning and tidy. Petrol station and shops are close by. All you really need for a quick break on a long car journey! We liked it very much, room was reasonable sized, bathroom and shower were good, I loved the shower and the TV was really large compared to other Ibis Budgets and one could really watch the movies. And breakfast in the morning was very yummy indeed. ;-) Thanks a lot! The hotel is very basic, and not recommended for more than a night's stay. The booking process and check in process is simple without meeting one human. The blanket is not big enough to cover two normal sized humans. The pillows have no substance and are uncomfortable. The breakfast is not worth it - for the price you pay. excellent value for money. Spotlessly clean and very comfortable beds. Will definitely use again. Clean inside but untidy car park and bushes. We've stayed at this hotel several times. Inside it is clean and the staff are pleasant. Outside the approach is very off putting. The car park is always dirty with lots of cigarette butts/weeds and the bushes are overgrown. This time there was a scruffy caravan parked by the entrance to the car park and the hotel was covered in scaffolding which made it look derelict. Not bad, except for the missing lift and croissants.